I’ve been quiet on the blog for the month of May. The Wright House has been busy, my mind full to overflowing. I’ve written in my journal, but there was nothing pressing to say out loud. So I let well enough alone, ignoring any self-imposed obligation. When there are no words, what’s the point? The approach of a holiday that is difficult for me creates a storm of emotions. I felt it coming for weeks. I make an effort to push thoughts aside and focus on pressing events ahead. Tears erupt without warning and sometimes I give them release. I connected with those who share common sentiments. Understanding brings some comfort. I plan my Sunday. I will be good to myself this one day of the year, giving myself grace. I reserved movies at my library. Mom’s Night Out will give me the gift of laughter. 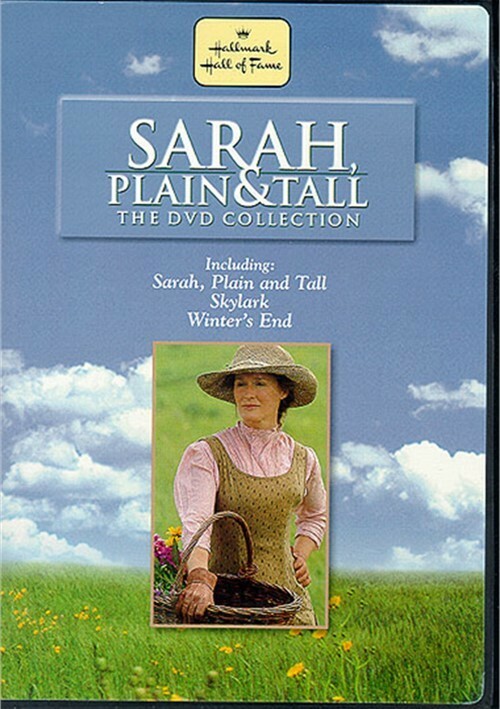 Sarah, Plain and Tall will give me permission to cry. Sweet William will do whatever he can to make me happy. My to-do list is full for the weekend. Recitals will fill the air with music and celebration. There’s a lot of work yet to do. I love this time of year, joyful in the accomplishments of budding musicians and being amazed that I get to be part of it. The weeds in the gardens mock me and I have paid them no heed. Walking through the yard, I am astounded at how quickly what shouldn’t be there grows tall and lush. I need a downpour of rain to soften the earth so pulling wayward growth will be easier. I gave myself one hour outside today so it doesn’t look like the occupants have up and moved. My back pays for it. The green of the trees in the little woods is especially beautiful this year. The warmth that has finally arrived refreshes me, and I take my chance to sit on the deck with a cup of coffee when I can. Two pair of geese at the lake have babies. I look for them when Maisie and I walk. They are attentive to their young during this season, these little ones being their only focus. They will not fly to other possibilities during summer. They are rooted and purposed to be the providing and protecting parents until goslings are fully grown in the fall. I watch the process and remember my mothering years. This month of my planner is full of people and places and events. How does a life get so full while I’m not paying attention? It’s not even the middle of May and I’m already anticipating a slowed-down June. If I’m not careful, I will miss today while I look forward to tomorrow. If I let it, life can pass me by and I will not have savored the sweetness of it. Today is a gift, the precious present. God meant for it to be lived with fullness of joy and with thanksgiving. He understands my tears and is near to the broken. He rejoices over me with singing, and He delights when I am filled with thankfulness. No matter the circumstances, I shall give thanks for this is His purpose in Christ Jesus. His purpose for me is to look for the gifts and enjoy what He has given, in every season of my life. What I perceive as good brings delight. What I perceive as difficult teaches me endurance, compassion, and patience. It is all for the conforming process of becoming more like Jesus. A life conformed will shine like stars in the night sky and it will be for the glory of God. “Happy New Year” is past and January 2018 is well on its way to become mid-month. Sweet William and I waited for the predicted winter storm to move from warning to reality. It took half a day to get here. We have milk, bread and coffee. I’ve been quiet on this blog since December, enjoying the rhythm of moving gently into another year. Many were the feverish years when goals were written in categories, along with steps to achieve them: work, house, personal, spiritual, physical. I was regimented and orderly. These days, I am tending toward becoming a student of slow and steady, like the tortoise. I enjoy the days where nothing is penciled into my planner. I guard myself from my natural tendency to fill up a week in a lickety-split minute. This is a different season of life, and I want to live it well. I am task-oriented, and I know it. Even now I must be purposeful in the commitments I make. Too often I’ve been quick to say “yes” without considering the consequences of time and energy, without understanding every “yes” equals a “no” somewhere else. Our little girl, Maisie, teaches me about living at a slower pace. Life is simple for her. She likes to eat, sleep, play, and take walks. She sprints ahead of me with pure joy, then lingers long with her nose to the ground. This is her job after all. My 2018 bullet journal is filled in, the pages bearing calendars and lists and things I’d like to accomplish in the next twelve months. I have a page titled “Bucket List” which includes learning to play the ukulele, something Sweet William is trying to help me do. In the last couple of weeks, I’ve read advice about the new year. I’ve done this so many times, and often I drove myself to accomplish much. Did I think it would make me more valuable, more worthy, more acceptable? Perhaps. I know my year will include meal preparation and clean up that together take longer than eating the good food. I will do loads of laundry and fold and re-fold the same shirts, underwear and socks for the zillionth time. I will dust and vacuum and make up the bed. I will prepare at least 365 pots of coffee. I will shop for groceries, pay bills, and file papers. I will drive to doctor and dentist offices more times than I like. I will invite people in to share our table, and I will accept invitations from others. I will attend church, Sunday school, and Bible study and pursue relationships. 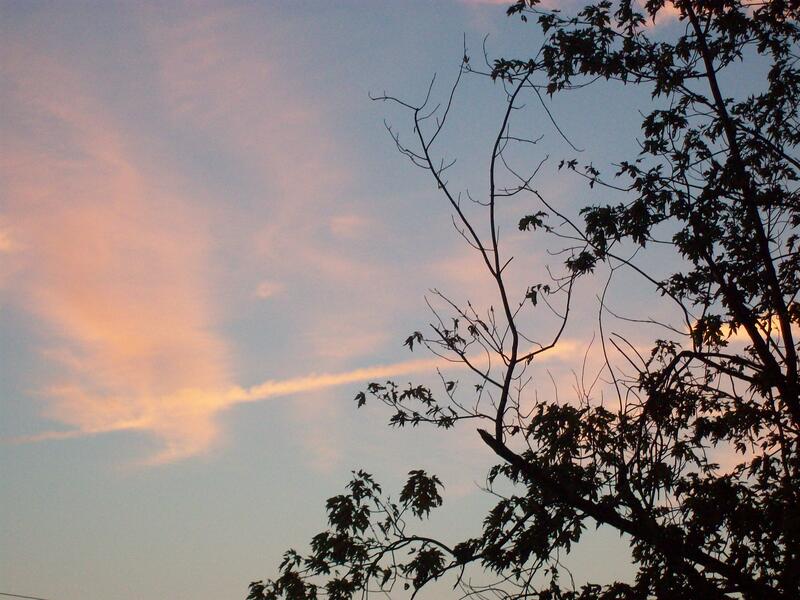 I will play the piano, tend the gardens, and watch the sunrise as I drink my morning coffee. I will walk with Maisie, slow to her pace and appreciate each one of the seasons. I will kiss Sweet William good morning, and join him as we pray for people on our prayer list. I will seek to hear the tender voice of the Spirit and ask to grow deeper in wisdom and understanding, compassion and mercy, love and forgiveness. This begins another year of my life. I want to accomplish things and cross them off my list. I want to make a decision, move on, and learn something new. I want to keep trying and grow in so many worthwhile ways. I want to live this wild and wonderful life I’ve been given. I want to help someone along the way, be a blessing, help bear a burden, let someone know she is loved. I’ve not written all that in my bullet journal. Some things cannot be measured by list and accomplishment. Isn’t it the intangibles, the investment of time and attention we make in a life that takes more than 52 weeks to complete? And yet, it is the weightiest act of living. The year lies ahead. The opportunities are before me. They will come one day at a time. Today is Sweet William’s birthday. It’s one of those milestone birthdays, the ones where someone throws a party and invites lots of guests to celebrate life. He chose to spend it quietly with me. I determined to treat him special and with as much kindness as I could. Nothing was going to deter me from that goal. I cooked homemade biscuits with breakfast, a rare treat these days when we try to watch our carbs. We ate on the deck in the cool morning and watched Maisie play in her fenced yard. We relaxed with some pre-recorded TV shows. He got to choose. I didn’t even ask for a Hallmark movie. I brought him coffee more than once. For lunch I fixed one of his favorites, broiled salmon with green beans and salad greens. In the meantime, I changed sheets and did several loads of laundry, never once asking him to fold or put away. This was his day, and I tried to allow him to do what he wanted, relax at home. The day is almost done. There is a coconut-pecan pie in the oven, our evening birthday treat. I’ll light a candle and sing to him as we finish another birthday. Expensive gifts are unnecessary at this point in our lives. We have most everything we need. Time is our greatest gift, and I gave it to him this day, his birthday. Tomorrow the calendar date will turn and the birthday will be over. But there will still be the opportunity to show kindness and love to this man, the one I’ve celebrated birthdays with for over 40 years. Tomorrow is another day. And each and every one is a reason to celebrate life. This is our life, and we can choose joy as we live it. So let the celebration continue. Happy Birthday Sweet William. It’s been a busy week at the Wright House. Doctor appointment, decisions to make, friends coming in and out the door, preparing piano students for recitals, the garden weeds mocking me . . . and then there’s Maisie. She is a wild toddler dog who needs to play and has more energy than Sweet William and I together. She does teach me that when she plays, she plays hard. When it’s time for a nap, well, she just does it. I’ve been working on something to enter in a writing contest. And that has taken my words this week. I’ve typed and deleted and done it over again. I thought hard about the content and wonder if it is leading anywhere. Will professionals think I write well or will they shake their heads when they read my entry? And I contemplate if that is even important to me. Attending a memorial service this morning, I spoke with a cousin I don’t remember meeting before today. We connected on Facebook a couple of years ago, but communication between us has been sparse. When days are full of schedules and activities and we meet ourselves coming and going, how do we decide what is important? Is it simply being busy that makes us feel necessary and useful? Is it other people’s approval? Is it how many “likes” we get when we post a new picture, a declaration, or a trendy idea? What matters in this life? I’m asking myself that as I consider my commitments, the huge yard I care for, the desire to spend time with friends and family, and the words I say, whether they are face to face or blogged to the world wide web. A long-time friend received hard news this week about her husband. They are setting their affairs in order because time is short for him. And what matters most to this couple? I doubt it is the stuff of their regular to-dos. How do we spend life when today could be our last day to say words we’ve been waiting to speak? How do we schedule next week when we may not see the coming season on this earth? When do we give attention to what really matters? I’m pondering it. Life is a short journey not matter how many years we have. I want to enjoy the ride. I want to love the people in my life. I want to open my heart to the abundance God gives daily, to see Him in every moment as the Giver and the Sustainer of all things. My busy week is not quite over yet. There are still decisions to make and more people will be coming and going in this house. There are things to do. I will try to focus on the essentials, try to spend the day in joy and celebration, giving love and grace to each person in my path. And at day’s end I want to be thankful to the Creator of all life for breath for another day and declare that it was lived well.